“While necessity continues to remain the mother of invention, it must be resounded that a stitch in time saves nine. The most successful plans, methods, ideas and preparation by an individual, organisation, community, locality, state and nation are crafted when the entity decides to be courageous enough to accept the possibility of the worst case scenario occurring. Nigeria and Nigerians have made it a tradition and have consistently assumed that the worst can never occur. Nigerians and more so, the technocrats, have designed techniques of dodging the truth, so much so, that even when current trends and daily decision will most likely lead to the worse consequences, the make believe, becomes overwhelming“. MAN does not see the importance of God or seek His help until he has a terrible encounter with the devil. This is the typical Nigerian nature, only seeking solutions when the worst has occurred. Thanks to the Ebola outbreak, it has become obvious that more than 80 per cent of public schools all over the country, especially at state level, do not have pipe-borne water, adequate sanitary facilities and security. Thanks to Ebola, it has been confirmed that most, if not all, medical research facilities in the country are both underfunded and overwhelmed by gross inefficiency in the appropriation and management of research funding. Thanks to insurgency, today we have seen that not only is the Nigerian military overwhelmed by the security challenges, underfunded by the government, but is also susceptible to corruption, lack of morale, transparency and accountability. Thanks also to so many mishaps, we have come to see that the Nigerian state at 54 is not willing to; unhinge herself and her citizens from the dangers ahead, avoid past mistakes and consciously drive on a course of true development, love and social justice. While the campaigns for the 2015 elections are getting wild and most likely uncontrolled, strategic agenda setting by political parties, and rising demands for change by the electorate must not be clouded by cheap politicking; selling of votes to crooked politicians, cultural and religious sentiments, zoning biases, or hypes of the so-called achievements over the years which are not different from building castles in the air. Today’s Nigeria is built on pillars of myopism, corruption, impunity, lies and the ‘I-don’t-care’ attitude of both leaders and the led. These are reflective in the lack of credible leadership and integrity in all arms and levels of government; the piled-up high profile cases in the stores of the EFCC and ICPC, the corruptible and slow judicial system that have now become the punching bags of selected untouchable political radical, the high level of crimes and unemployment, the epileptic infrastructures championed by the poor electricity situation across the country, the mass insecurity, the lack of social mentorship, credible and courageous clerics who would back their religious calling and speak against the social and economic tyranny, and the docile citizens who would rather sell their integrity, if not remain in the dark; uninterested, hoping that the Almighty Creator would one day appoint a Messiah. This would not happen!!! Without all these pillars pulled down, all achievements of development; established institutions, constructed and commissioned infrastructure projects, privatization of national properties, reforms upon reforms, coated brand logo and slogan of white-washed Nigerian image, will amount to nothing but another waste. Once upon a time we celebrated NEPA, NITEL, water board, Railway Corporation, etc, corruption killed them all. We privatised, now we enjoy nothing but inconsistent services and exploitation. Once upon a time, we had four working refineries, corruption and myopism are killing them all, and now a proposition lingers to privatise them; so we continue to import refined fuel, suffer from fuel scarcity and unbeatable oil theft. Once upon a time, we could boast of the great groundnut and cocoa pyramids; our rich oil palm produce and fertile land; boasted of our potency to feed at least the whole of West Africa with our agricultural produce. Corruption and narrowness gave all that a back seat. Once upon a time we dreamt of constant power supply, hoped to learn from Western renewable technology since we are more blessed with the geological feature to tap from the gains; yet myopism and corruption swore the dreams will never come to reality. Once upon a time, we boasted of our prestigious university that attracted favourable rankings; corruption, lack of passion and mentorship, tenacity and innovation becloud the glory, today all we have are beautiful school gates with no learning spirit and content, knowledge, integrity or pride. Once upon a time, we had a dream that states would be able to look inward and seek self-sustaining revenue stream to cater for their indigenes, independent of federal monthly oil sharing, but no, corruption, sentiments, greed, laziness and myopism, have sworn that it would not come to reality; forever we will fix our eyes; mind, body and soul on oil revenue alone. This has been exemplified over and over again; for instance, by the Debt Management Office (DMO) in their debt sustainability reports and the Ministry of Finance has over the years told Nigerians that Nigeria can sustain her debt levels, only for us to be plunged into further debt and then beg for pardon. Over the years we were told that the Nigerian military were the invincible warriors of ECOMOG, today we have our sisters and daughters in Chibok for over 200 days in the captivity of Boko Haram. Today, unemployment and poverty charts by the Finance Ministry and Bureau of Statistics are saying there are no declining indications, yet we cannot locate the address of the manufacturing plants or industries, see more made in Nigeria products, have working oil refineries, agro-processing units; real jobs, not the unsustainable stop-gap interventions. We have been told by the Ministry of Power that the country is making effort at increasing the power generation and transmission; expanding interventions for renewable energy and the likes; yet all the housing estates and development agencies sprouting across the country have never thought of having an estate run on renewable energy; no synergy and innovation in the system, nor have we seen any significant adaptation of the renewable technology. We have been told by the Finance Ministry that innovations and activities are being carried out to increase the non-oil revenue stream; the outcome of this has been the Ministry of Finance introducing and imposing an increase of 50 per cent import tax on books as if it is hearkening to the prayers of Boko Haram! (Most, if not all, the books used in our learning institutions are imported; an additional burden on the poor parents who cannot afford to send their children abroad will have to bear); while losing over N170.73 billion to exemption and import waivers from 2011 to 2013; to import bullet proof cars, kitchen gadgets for the Villa, etc. While this is not an attack on the day’s Administrations, it remains a challenge and an issue that requires a systematic approach in seeking solution by all aspiring political parties, and the electorate alike. For, if opposition parties cannot present a workable solution (and how it will be achieved); not the traditional “I-will-do political promises”), of what need is there to change government (at all levels)? Electorate, political parties and politicians need to start the process of psychological acceptance of the possibility of the worst possible case for Nigeria. For without such acceptance, we would not see the urgency and need to activate proper planning; we must accept the reality, strength and closeness of the devil, so we can plan our steps of salvation towards the God because He is not going to come running towards us. Let us plan and proffer workable solutions to avert these worst-case scenarios as citizens, communities, religious and traditional leaders, political parties (politicians), government appointed officers, civil servants and the private sector. What if Nigeria as predicted breaks up through whatever form in 2015? Can states and regions come up with self-sustaining ideas to cater for their indigenes using state and regional resources? What if the shadowy arms deals of $9.3million in South Africa are traceable to army groups outside the Nigerian military? What if our sisters and daughters in the captivity of Boko Haram are not rescued; continually molested and brainwashed to be used as suicide bombers and terrorists? What if our oil wells dry up? What if the international community expand significantly in their technological breakthrough and replace the use of crude oil? What if the oil revenue disappears? What if Nigerian students abroad become an endanger species; unsafe and are no longer welcome to study abroad? What if our continued impunity and ‘I-don’t-care’ attitude to corruption eventually leads to war in Nigeria? What if the so called educated average citizens continue to remain unconcerned and do not vote? What if voters continue to sell their votes to corrupt politicians whose sole purpose is to go into office and recoup his investment; looting the contributions of the masses which are supposed to provide schools, hospitals, good roads, industries and power supply? What if the rate of poverty and anger increases so much so that the rich becomes an endangered species; hunted down even by his most loyal poor neighbours? What if the Creator does not forbid these possible scenarios? What if the Grace of the Lamb cannot avert these possible crises? What if prayers turn out not to be sufficient to remedy the situation? If, if, if and if…! We must, therefore, seek the best actionable solutions today, by making the right choices; constantly learning from our past mistakes as individuals, groups and nation. We must abort all forms of sentiments; reward hardwork and appoint the best hands regardless of differences. We must embrace proactive and innovative leadership, vote for transparency and accountability; not thuggery, money bags and empty vessel politicians. We must not continue to sacrifice meritocracy on the altar of zoning, tribalism, religion and sentiments. We must spread the message of saving Nigeria in all tongues and languages. We must emulate good examples from other nations of the world putting sentiments aside. State governments and aspiring politicians need to wake up from the sloppy dependence on the Federal Government for their survival; waiting for the Federal Government’s power supply, monthly revenue allocation, road construction, jobs creation, water supply and more. 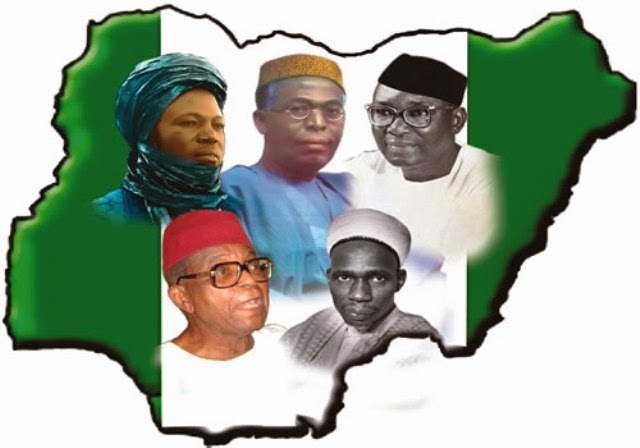 It is high time indigenes –electorate, community groups, traditional leaders, CSOs, NGOs and faith-based organisations in all locality woke up and engaged political party manifestoes on the management and exploration of the state resources. For too long, Nigeria as a nation and people have been in constant denial; enslaved, deceived, and made to believe that all is well or is going to be well, but the actions of citizens especially the leaders depict the contrary. When truth (transparency, accountability, openness, and value for money) is nowhere to be found, then safety and improvement cannot be guaranteed. We must never be impressed or oppressed by a man (group or party) with no message. As Nigerians we must be brave and must respect ourselves enough to walk away from anything and anyone that no longer serves us, develops us as a nation, and makes us happy. • Ikenna is a socio-economic researcher and programme officer (PFM), Centre for Social Justice, Abuja.